In the last decade the economy of Mongolia has grown at an unprecedented rate with GDP expanding by more than 10% per year. All this mostly depends on the mining industry. Attracted by the large deposits of copper, gold and most of all coal, all of the industry’s global giants have invested and keep investing in this small country of Central Asia. 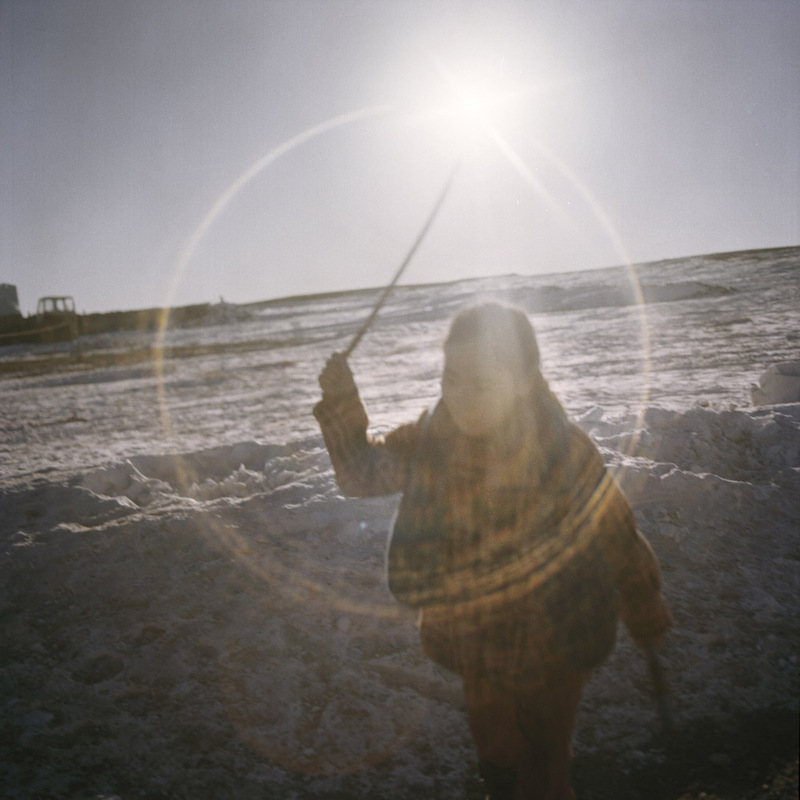 In this accelerated and deregulated development, local populations and traditional ways of life, based on ancestral nomadic herding along the routes in steppes, are undergoing a crisis. Many families have quit their activities and moved to large urban centres in search of work opportunities in this new industrial society, often slipping into economic and social poverty. Others, however, try to resist, dealing with pollution and dust poisoning the vegetation, as well as the increasingly difficult living conditions on an everyday basis. 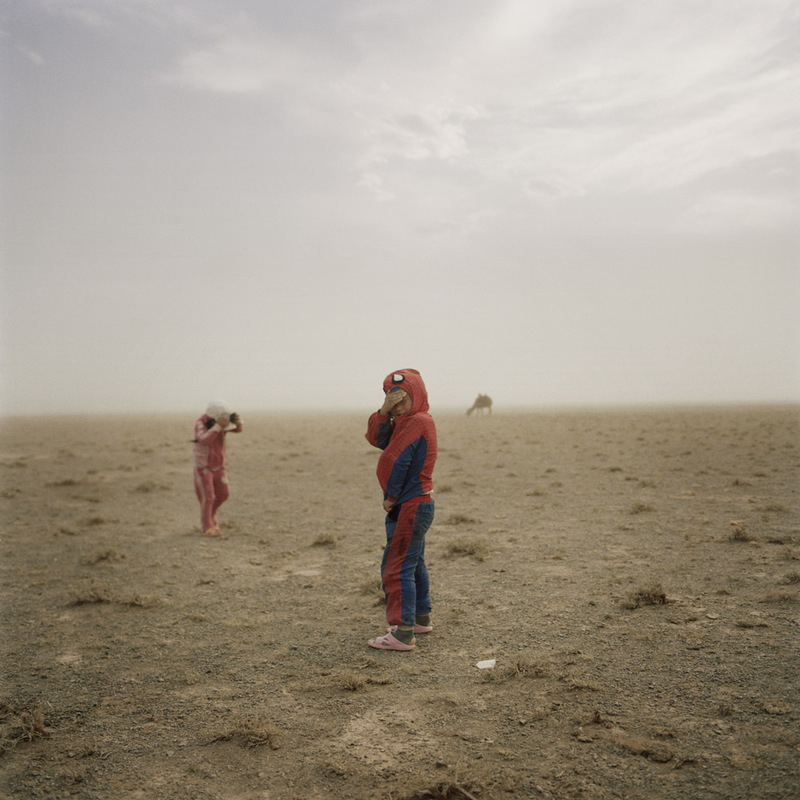 This work is a journey in the daily lives of a few families from the Gobi desert, where the pasture, which has been the main livelihood for centuries, will disappear in a few decades. On the one hand, there are those, who chose to continue the tradition of the steppe despite all the difficulties, on the other, there are those who preferred to take their chances in the large cities, unfortunately facing the reality of a space, which is deteriorated and invaded by unreachable western cultural models. Michele Palazzi. 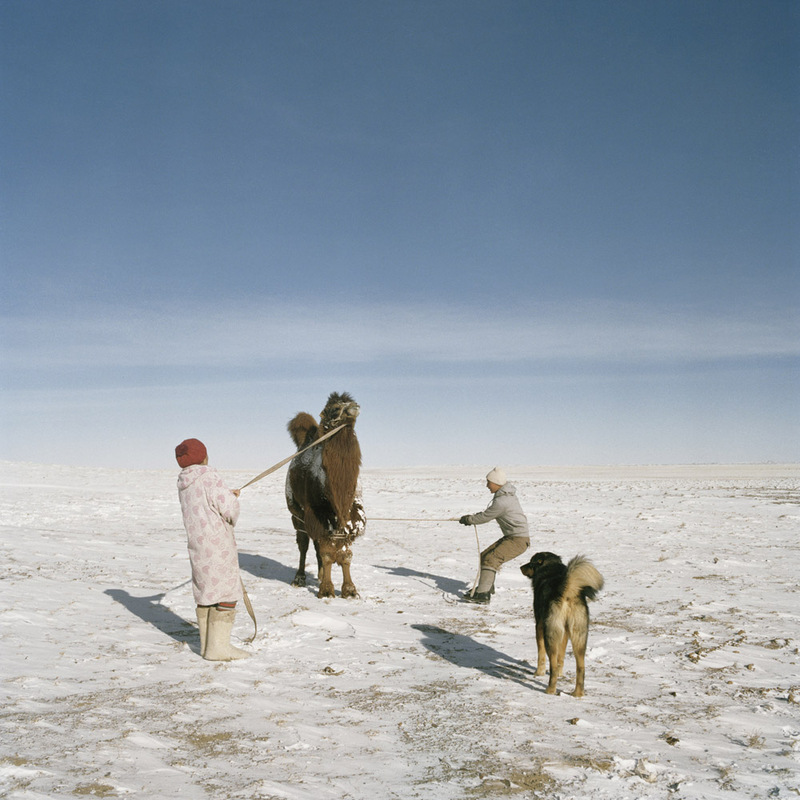 Mongolia, Gobi, Omongovi, 2012. Hovorerden is playing with his sister during the sand storm. Michele Palazzi. Mongolia, Gobi, Omongovi, 2013. 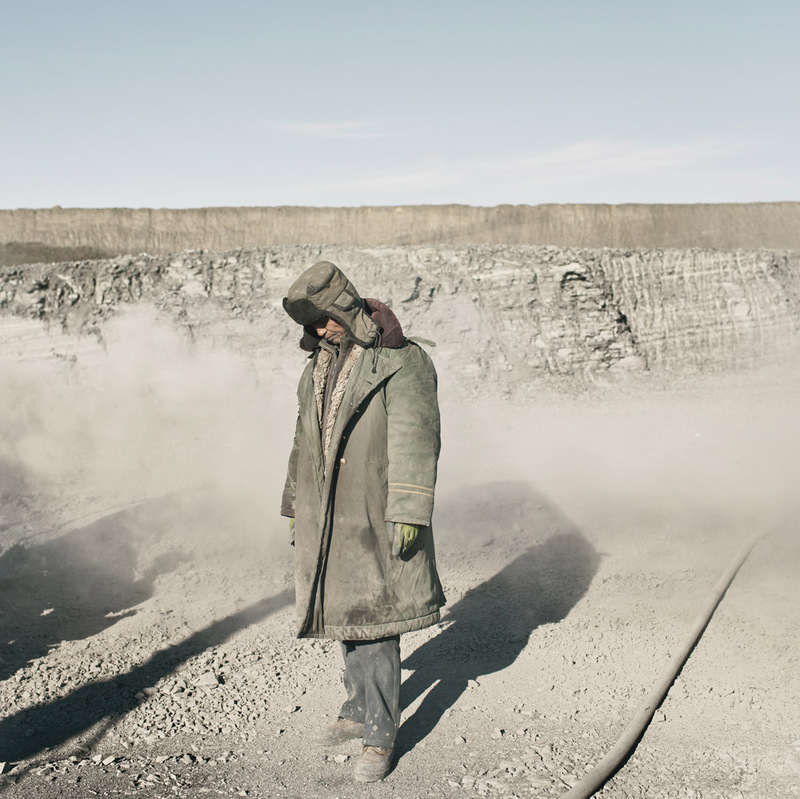 Coal dust raised by the wind in the Tavan Tolgoi mine.Michele Palazzi. Mongolia, Gobi, Omongovi, 2013. 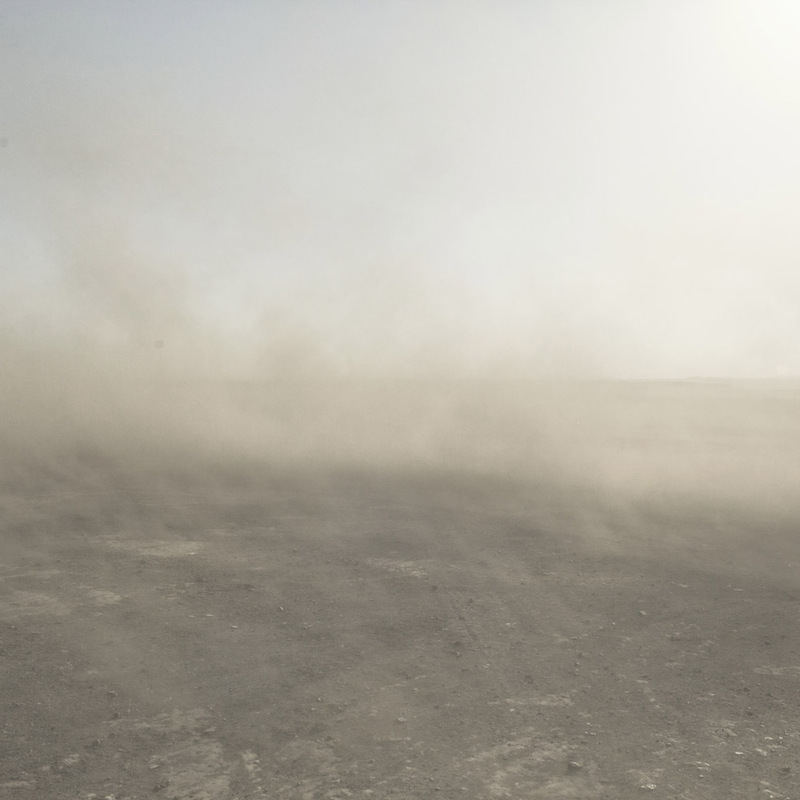 Coal dust raised by the wind in the Tavan Tolgoi mine. Michele Palazzi. Mongolia, Gobi, Omongovi, 2013. 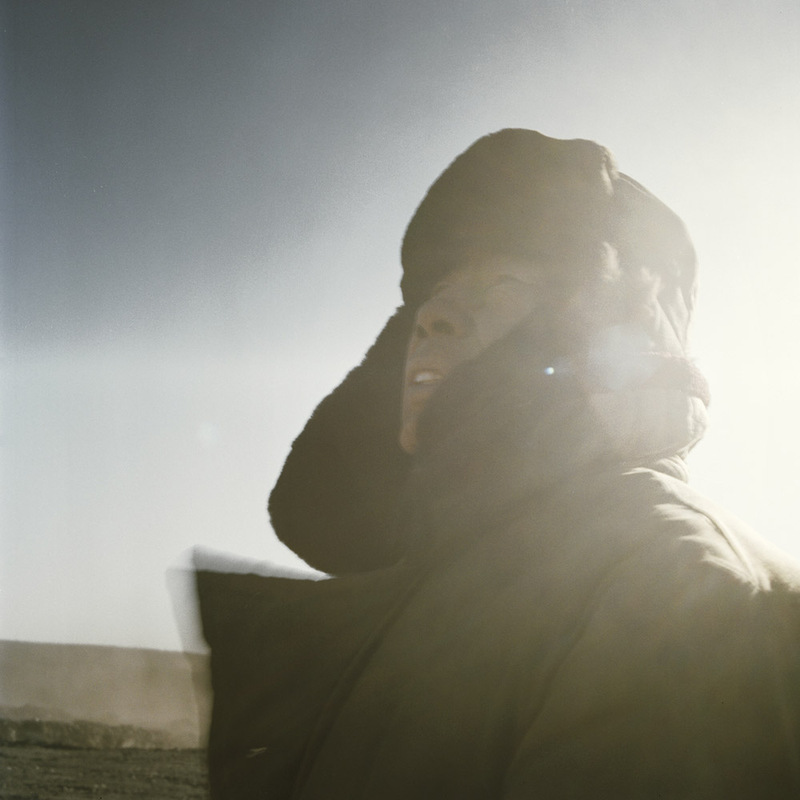 A Chinese miner in the Tavan Tolgoi coal mine. is loading the tent and their belongings on the jeep getting ready to leave. Michele Palazzi. 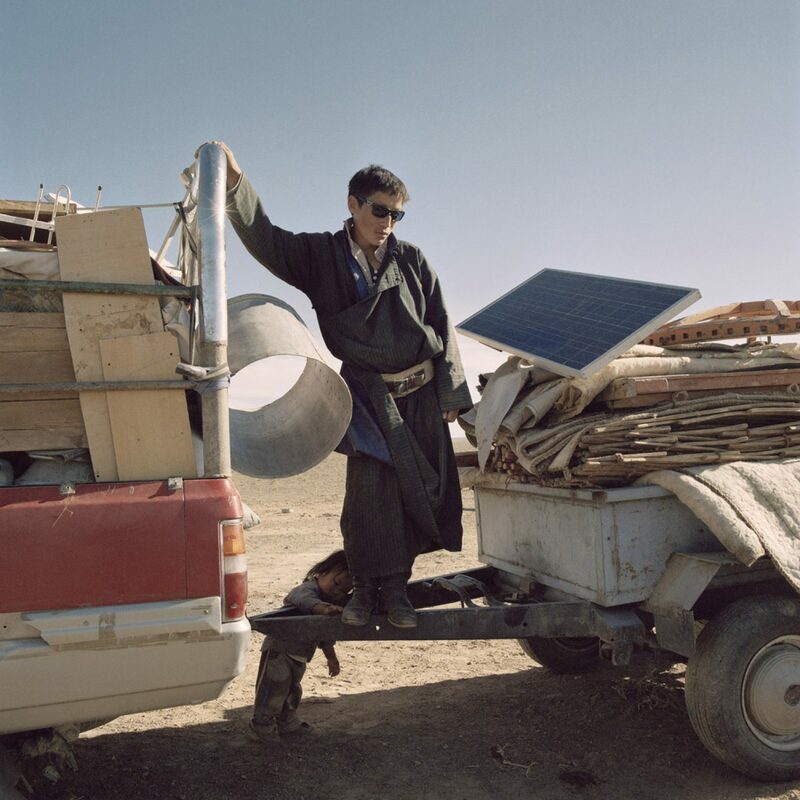 Mongolia, Gobi, Omongovi, 2012. The âgerâ where the nomad family lives. Michele Palazzi. Mongolia, Gobi, Omongovi, 2012. 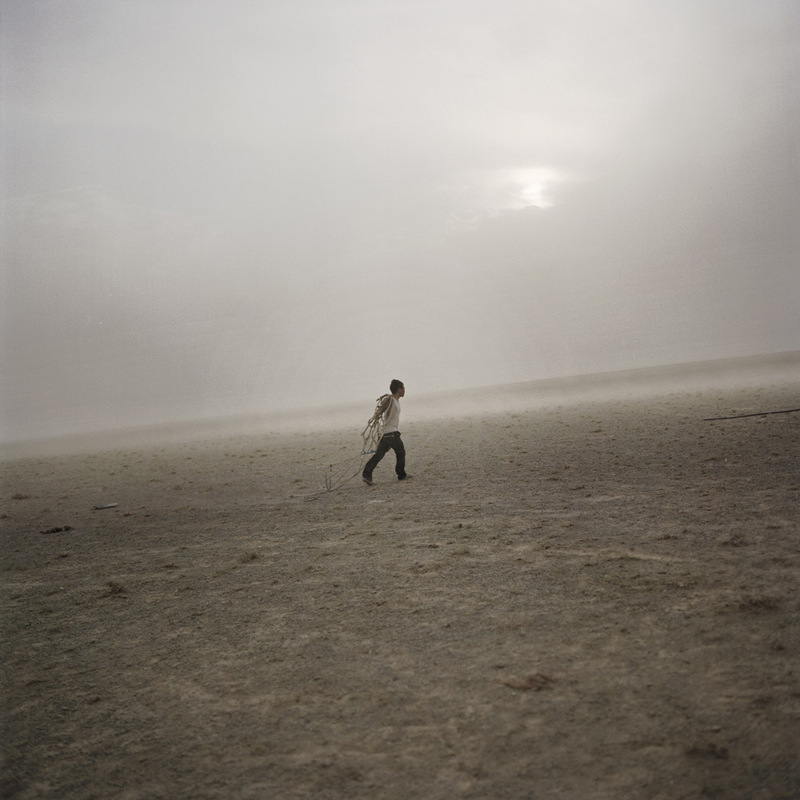 Tuvshinbayar is walking across the desert during a sand storm. Michele Palazzi. Mongolia, Gobi, Omongovi, 2013. Bus stop a few kilometres away from the city of Dalanzdgad. Michele Palazzi. 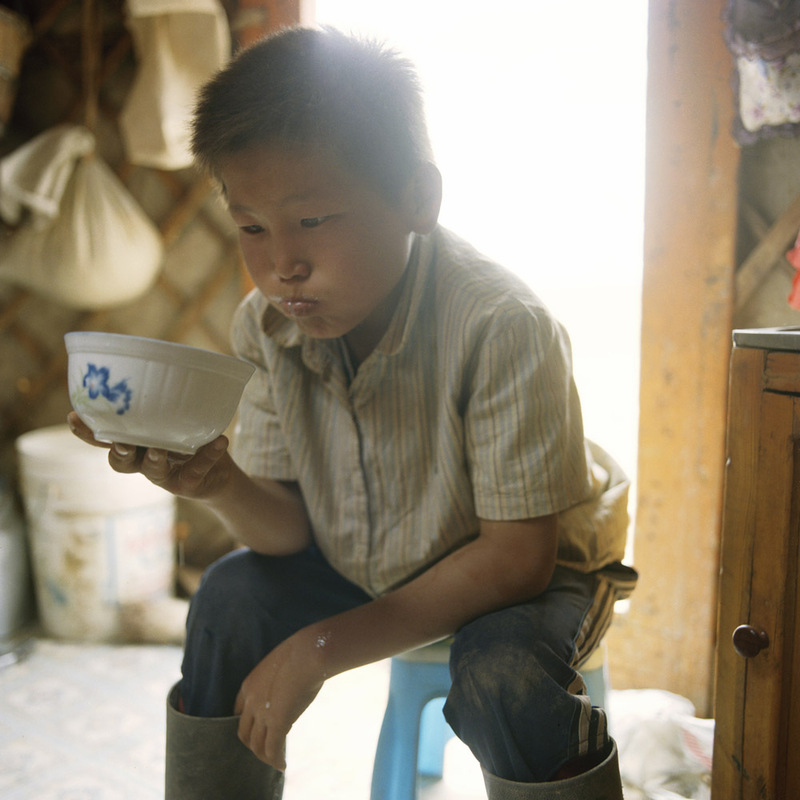 Mongolia, Gobi, White Mountain outpost, 2013. A woman walking in the outpost for the coal delivery at the border with China. Michele Palazzi. Mongolia, Gobi, Omongovi, 2013. 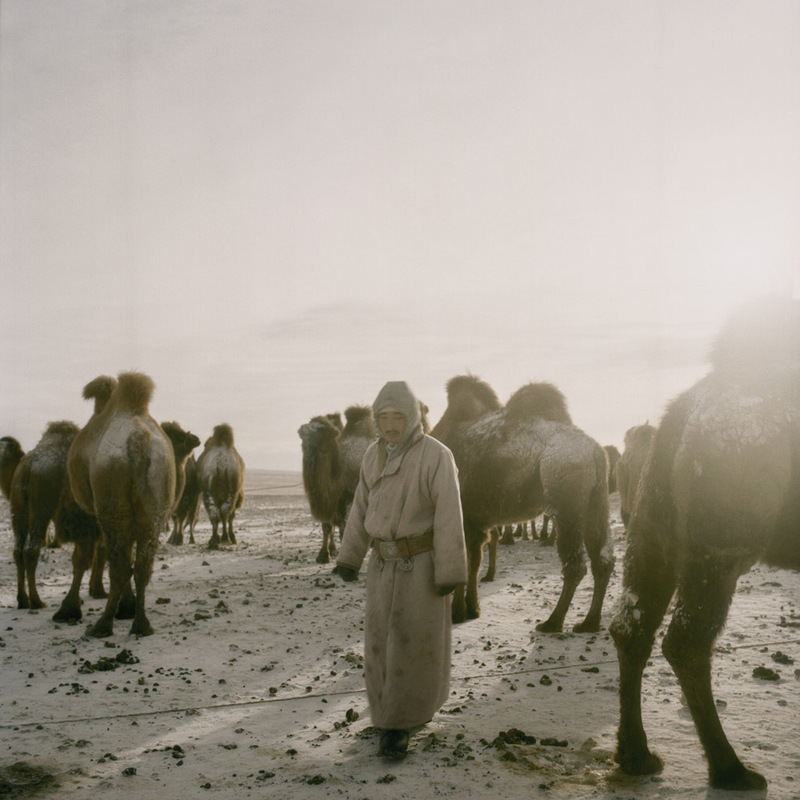 Tuvshinbayar milking the camels before it gets dark. Michele Palazzi. 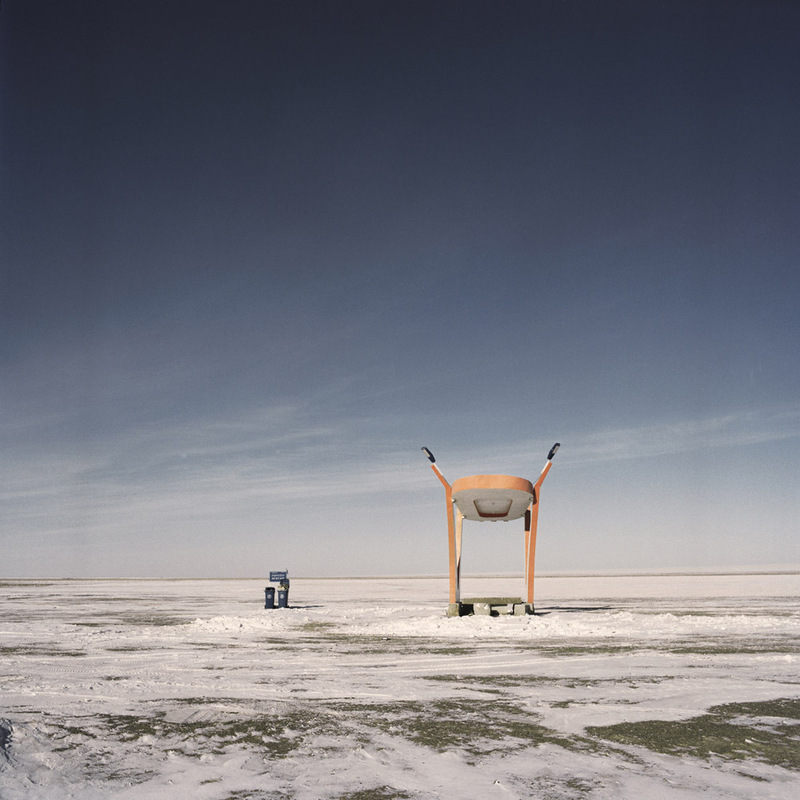 Mongolia, Gobi, Omongovi, 2012. Tuvshinbayar sleeps next to his son Tuyshintugs after working the whole morning. Michele Palazzi. 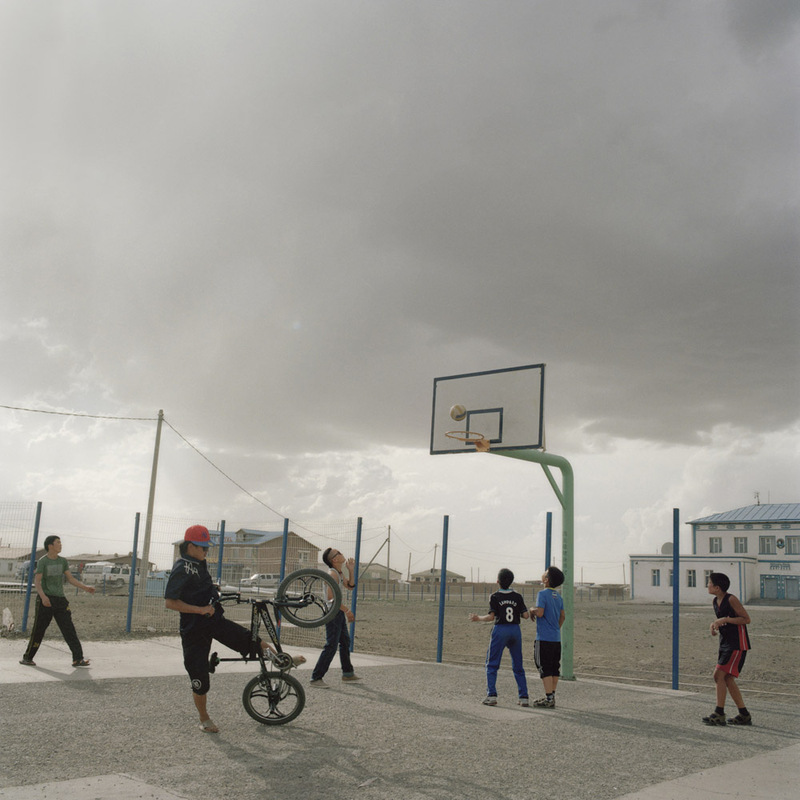 Mongolia, Gobi, Tsogttsestiie sum, 2012. A waitress working at the Broadway restaurant, the only restaurant for foreigners in the sum. Michele Palazzi. 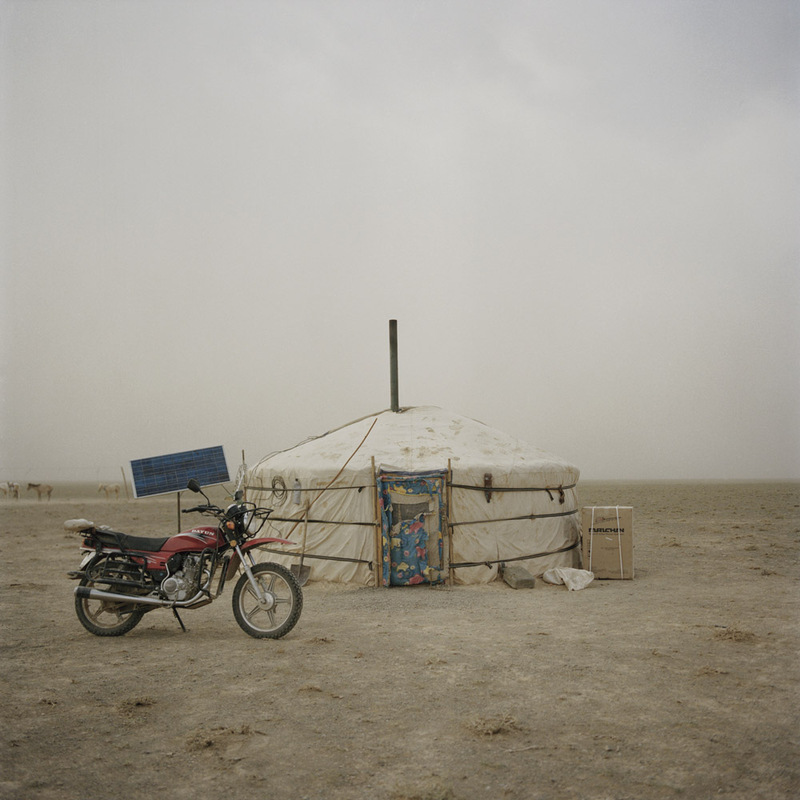 Mongolia, Gobi, White Mountain outpost, 2013. The canteen for miners and truck drivers of the settlement. Michele Palazzi. 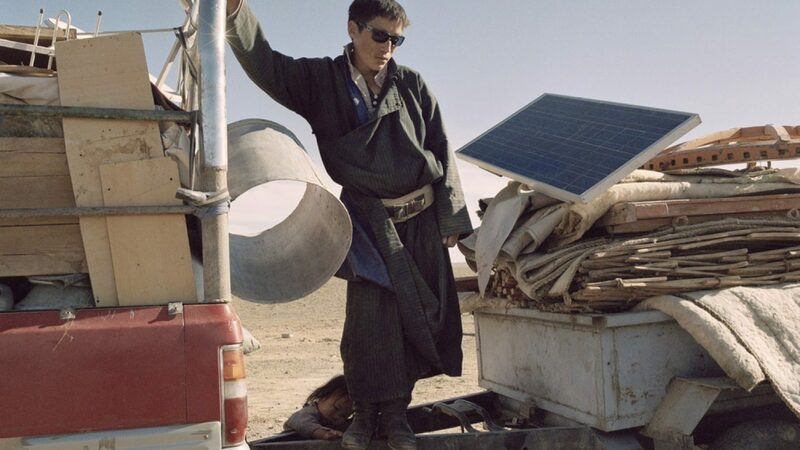 Mongolia, Gobi, Omongovi, 2012. Munkhdul is resting and drinking tea with camel milk. Michele Palazzi. Mongolia, Gobi, Omongovi, 2013. 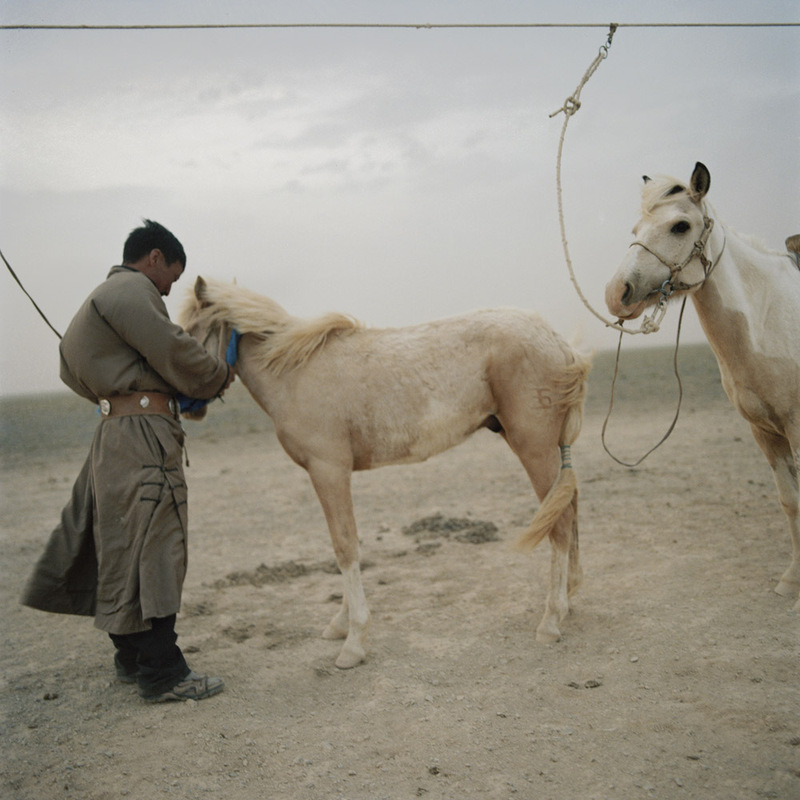 Tuvshinbayar and his wife are tying up the camel before killing him for selling the meat. Michele Palazzi. 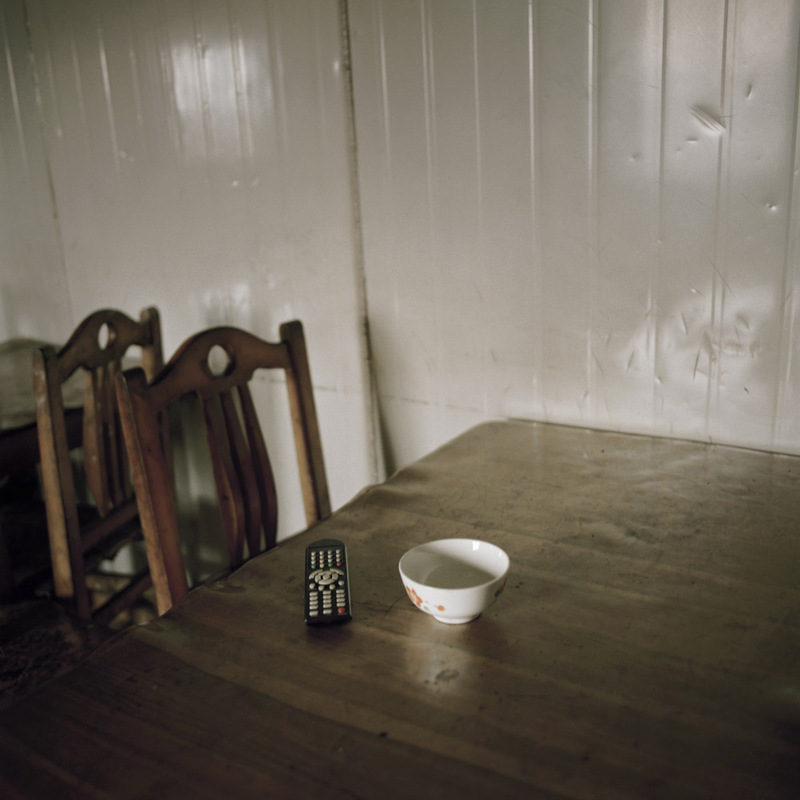 Mongolia, Gobi, White Mountain outpost, 2013. The cook of the miners’ settlement singing karaoke. Michele Palazzi. 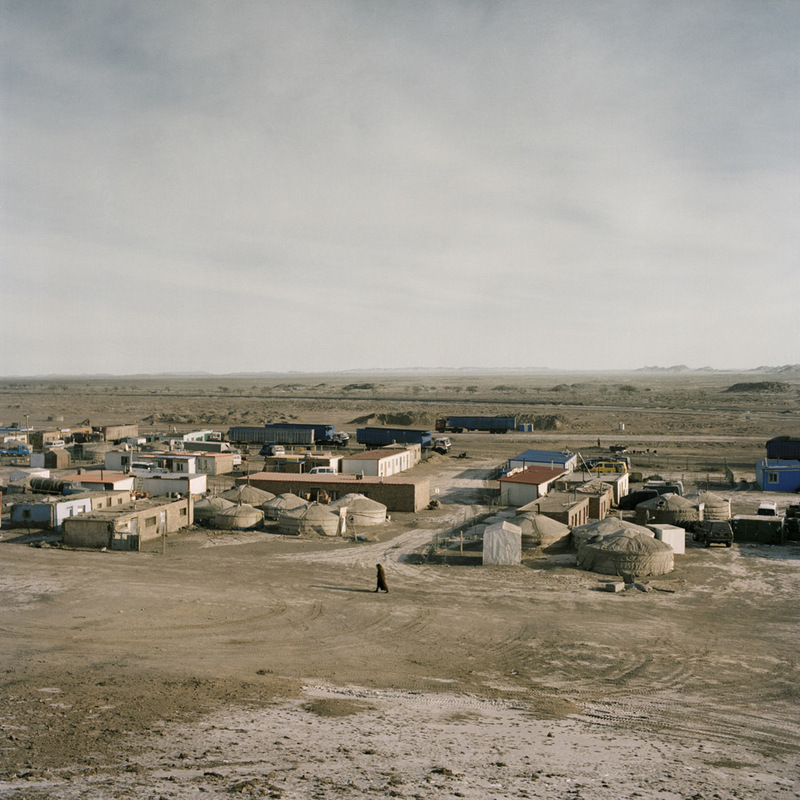 Mongolia, Gobi, Tsogttsestiie sum, 2012. Some young boys are playing in the only public place of the village: the basketball field of the public school. Michele Palazzi. 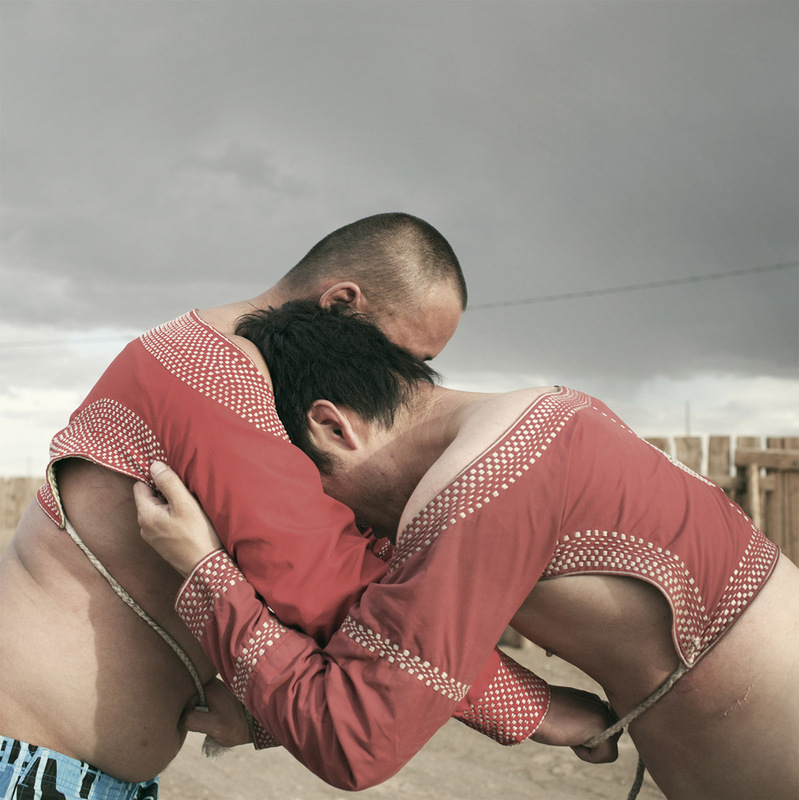 Mongolia, Gobi, Tsogttsestiie sum, 2012. Saikhana is wrestling with one of his friends. Michele Palazzi. Mongolia, Gobi, Dalanzadgad 2013. A young girl playing table tennis in the city playground. Michele Palazzi. Mongolia, Gobi, Omongovi, 2013. Zaya outside the tent in a sunny day. In winter the temperature can go down to -25 degrees. Michele Palazzi. Mongolia, Gobi, Dalanzadgad, 2013. A famous Mongolian singer during the party organized by the Mobicom mobile company. Michele Palazzi. Mongolia, Gobi, Dalanzadgad, 2013. 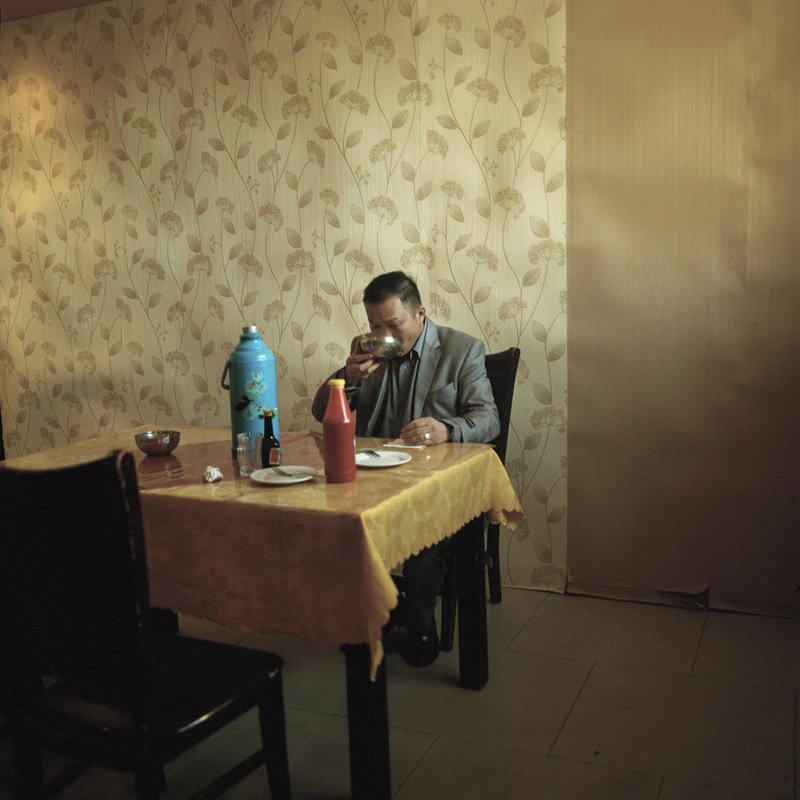 A police detective of the city having his meal in the Police department’s canteen. Michele Palazzi. 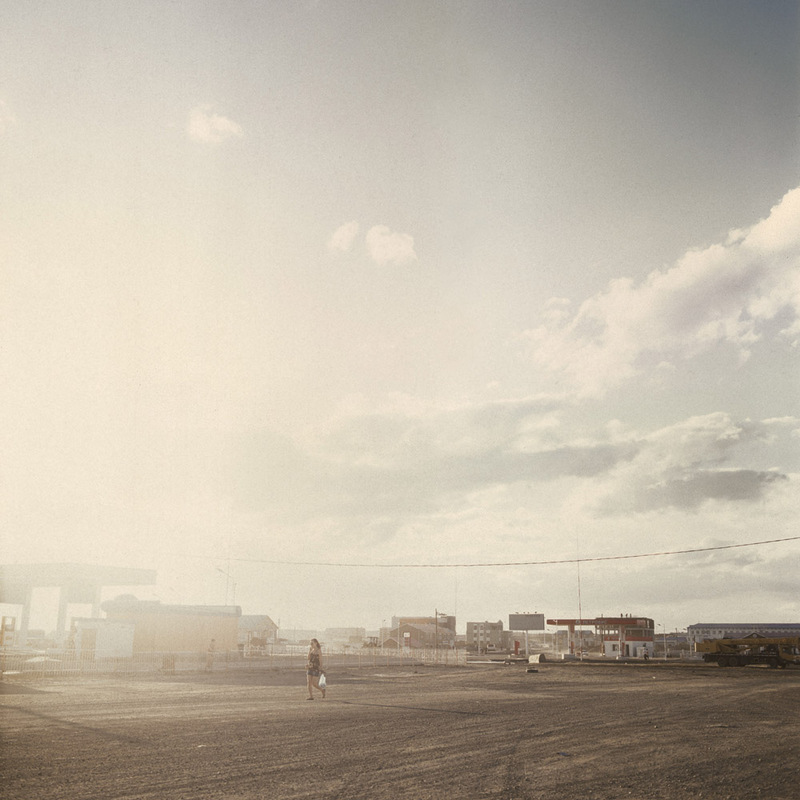 Mongolia, Gobi, Tsogttsestiie sum, 2012. In the Tsogttsestiie sum there is only one paved street, the other streets are unpaved and the dust is always around. Michele Palazzi (1984) was born in Rome. In 2013 he received the First Prize of Environmental Photographer of the Year Award. 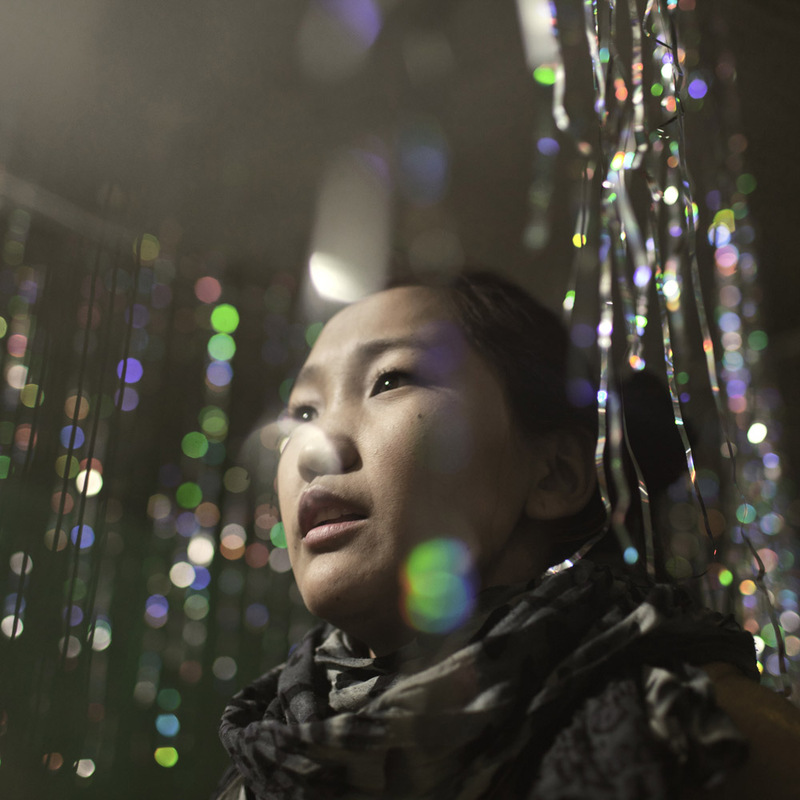 Between 2012 and 2013 he started working on the Black Gold Hotel, a long-term project about the impact of modernization on Mongolia. He is represented by Contrasto. 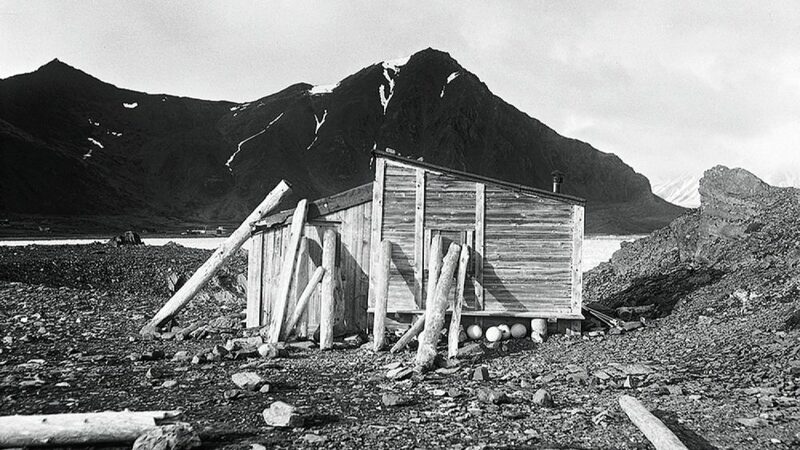 A journey to the Polish Polar Station, Hornsund on Spitsbergen. The Latvian village Strazdumuiža is home to a community of over two hundred blind or partially sighted residents. 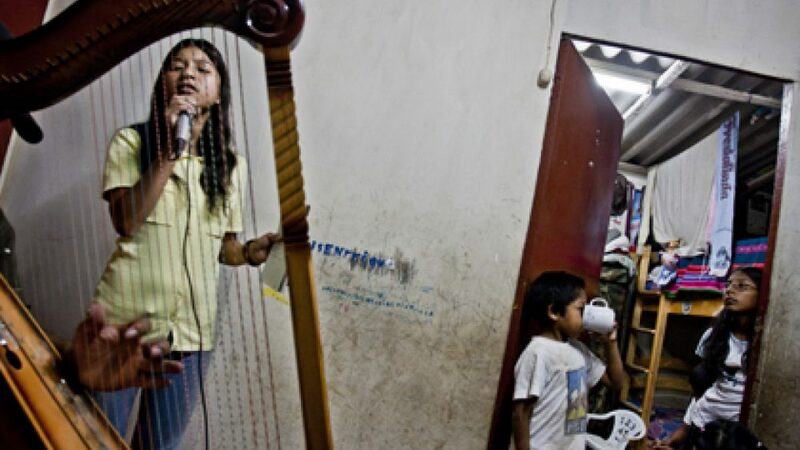 A photo story about young Peruvians who want a career in music.